﻿Researchers have found a new therapeutic alternative for children who suffer from a malignant pediatric tumor bone and soft tissue called Ewing's sarcoma. Researchers have combined two active ingredients (Olaparib and Trabectedin), and in animal models have shown that improves the sensitivity of cancer cells to these drugs, which seems to increase its effect. In fact, they have been observed complete remission of cancer in 100% of cases for a very long time. The study results are published in the journal Oncotarget. 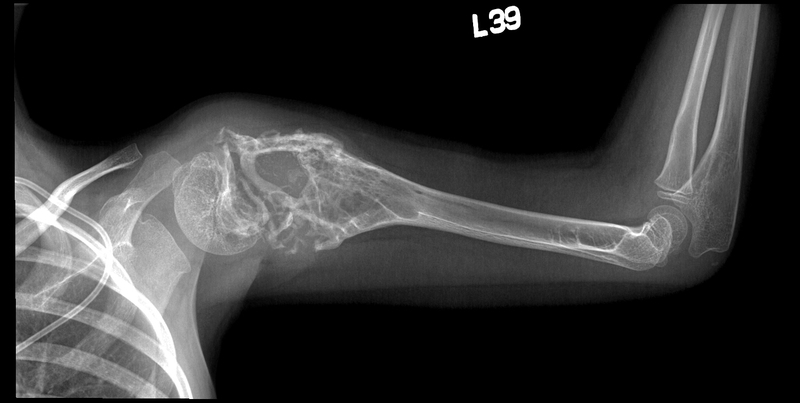 Ewing's sarcoma is the second most common bone cancer and affects children and youth. Currently, if diagnosed early and there is no metastasis it can be cured in 80% of cases but between 25% and 30% of cases are diagnosed when it has metastasized and survival drops to 20%. It has been observed as Ewing's sarcoma cells need to keep repairing mechanisms of DNA damage in good condition to survive and continue to divide. "Trabectedin, however, causes breaks and abnormal DNA structure of the cancer cell, which induces cell death. And Olaparib works on the same line, blocking the action of a gene (PARP1), whose function is to repair DNA damage when it detects lesions," the researchers explained. The combination of both drugs is synergistic and can eliminate the DNA repair system, obtaining a much more powerful than that achieved with the application of each drug individually antitumor effect. Based on material originally posted by IDIBELL-Bellvitge Biomedical Research Institute.